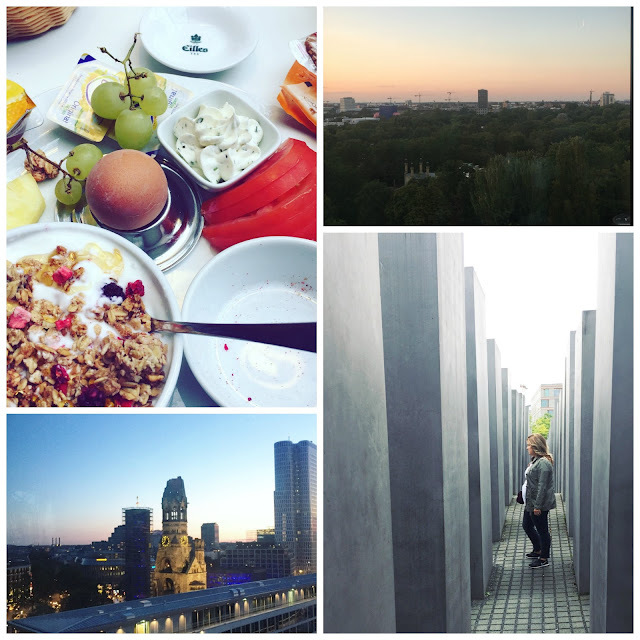 So we recently took a 5-day trip to Berlin that I'm calling our second babymoon (it was actually a trip I had planned back in March for my husbands birthday). My husband loves the band Mumford & Sons so I began by googling where they would be touring next. He's one of those guys that has everything so coming up with something new and fun to do for his birthday every year is somewhat of a challenge. So when I saw that Mumford were playing at the Lollapalooza festival in Berlin in September, I decided to book the tickets and go for it. Given the fact that at the time of booking I obviously hadn't realised that I would be pregnant - getting around was a little bit of a struggle but I definitely made it through and spending a few days relaxing in this beautiful city turned out to be just what we both needed. 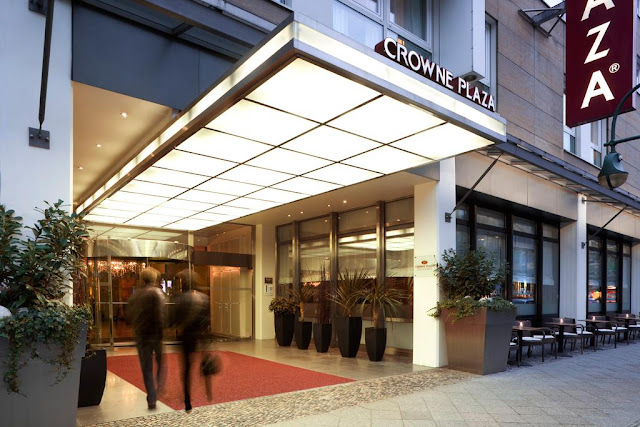 We stayed at the Crowne Plaza Berlin City Centre and it turned out to be the perfect location for discovering the city and doing a spot of shopping. The breakfast was standard fare - a buffet, but it did get really busy (we only ate there once, mainly for convenience and to feed my pregnancy hunger) so I would recommend getting up a little earlier for it. It was a little pricey at 19 Euros each - and not worth it in my opinion. There were lots of bakeries/coffee shops nearby I recommend you check out first. The hotel itself was great, the room was clean and modern with a standard city centre size (if not a little bigger). Definitely great for what we needed. 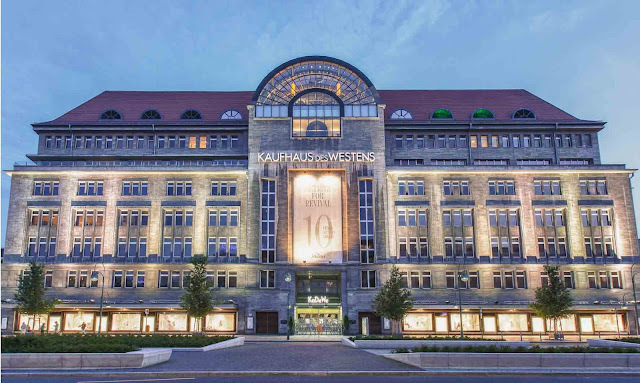 We were literally a 2 minute walk from an array of shops (Zara was on the corner of our hotel street) and a five minute walk to Berlin's answer to Harrods - KaDeWe (KaufhausdesWestens). It's the second largest department store in Europe - second to only Harrods in London and is definitely worth a visit even just for the window shopping. The street it's on also has an ample amount of other stores including Uniqlo, H&M, Pull&Bear etc. Also a short walk from our hotel (and a minute walk from the KaDeWe) was the nearest tube station - U Wittenbergplatz. From here you can get to so many places in the city. We bought a 24hr unlimited ticket for 9Euros each and hopped on and off all day. Also on the street the hotel (situated at the other end to the shops) is Berlin Zoo. Due to it's substantial size and great food options, you could easily spend a day here. 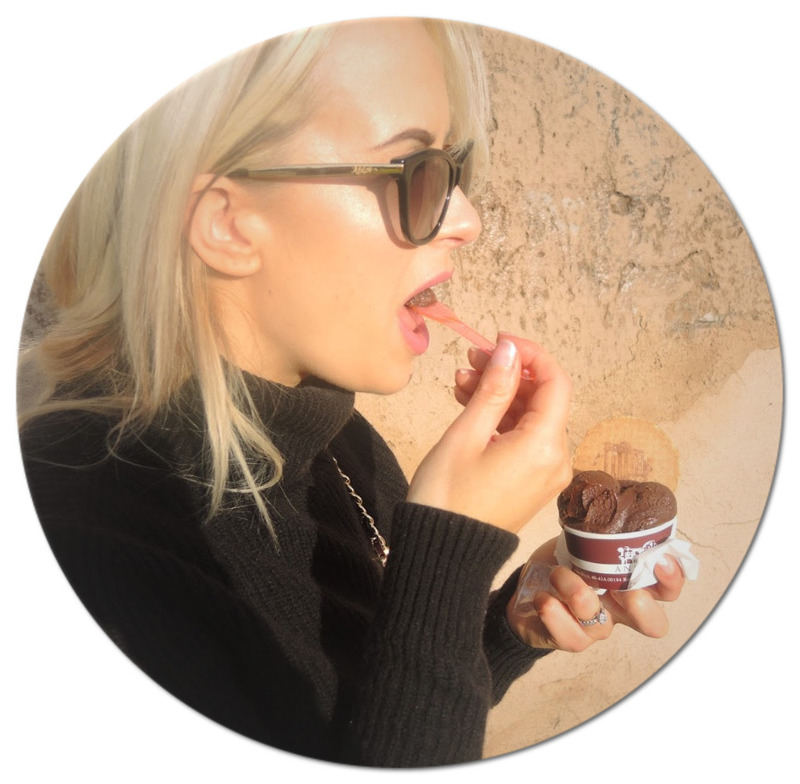 Bikini Berlin is also a short walk from the hotel and is a great alternative shopping/pop up store complex with some cafes and snack bars that definitely do not disappoint. Find out more here. 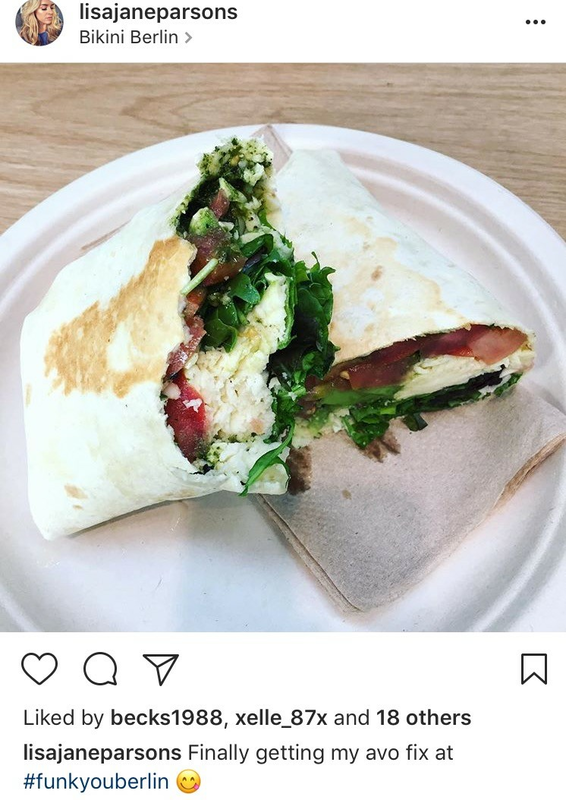 'Funk You' is a good option for fellow avocado obsessed people such as myself. We ordered room service more than I'd care to share on this trip (preggo problems) but we did visit a few places that are definitely worth a visit while you're there. Monkey Bar Berlin takes it's name from it's location. It overlooks the monkeys at Berlin Zoo at the BikiniBerlin, so has a great view to enjoy whilst sipping on specialty cocktails or eating dinner. Dinner reservations are taken weeks in advance so if you did want to eat here definitely make a reservation before you go. If not, you can still go into the bar area and have a cocktail (or mocktail in my case) but be aware that they are pretty pricey so a few might just be enough! There's also a great balcony area to sit out at on warmer evenings with stunning views. L'Osteria is also a brilliant option if you love Italian food like us (the people of Berlin seem to really like it too!). Also situated at the Bikini Berlin (can you tell we didnt walk far?) it was a perfect option. Be warned - the pizzas are certainly sharers - my husband ordered one, ate just about half and had to take the rest home in a box (which he subsequently gave to a homeless guy who seemed a tad excited to see the box coming towards him! *all the feels*). I opted for a mushroom risotto which was also a healthy portion size and definitely the best meal I ate while I was there. We went to Berlin in the summer and I absolutely loved it! You have such lovely pictures of the city. It brought back wonderful memories. Also, I loved L'Osteria myself!